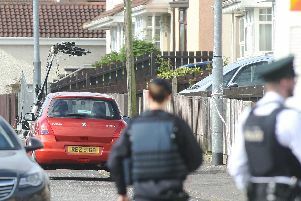 A 43-year-old man has been today arrested by Detectives from the PSNI's Terrorism Investigation Unit in Strabane. He was arrested in connection with ongoing investigations into suspected dissident republican activity. Detective Inspector Orr said: “The investigation is currently ongoing. We have conducted searches of land in Back Row and also along the riverside, as well as the search of a property.